St. Patrick’s Day always remind me of the song “When Irish Eyes Are Smiling.” I’ve always liked this song because it’s a reminder that your eyes can be the most important feature on your face. 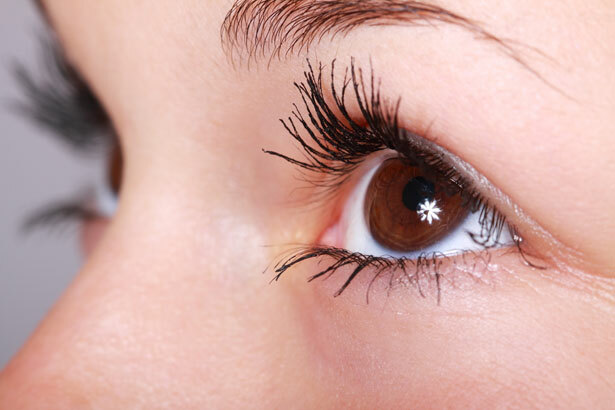 Eyelash and Eyebrow Tinting Dying your lashes and brows provides a contrast, giving you a more dramatic appearance. Using a gentle vegetable dye, your eyelashes and brows can be dyed to enhance the color. The dye lasts for up to 1 month and is recommended for people with light hair and complexions. Tinting takes only 20 minutes. Colors include: black, blue black, light brown, and dark brown. Eyelash Curling Eyelash curling is similar to a hair “perm.” It is the process of adding fullness and volume to our lashes. This curling technique replaces the need for daily eyelash curling using a handheld curler. It’s a semi-permanent process that lasts up to 6 weeks and is guaranteed to make your eyes pop! Eyebrow Shaping The most common technique used to enhance the appearance of your eyes is shaping, or waxing, your eyebrows. Eyebrow shaping provides definition to your eyes and face. The clean, crisp lines of the brow invite attention to the color and shape of your eyes. This simple technique should only be done by a professional aesthetician who can truly shape the brows to complement your natural facial contours. As the tribute song to Ireland’s beauty says, when eyes are smiling, they twinkle bright as can be. Do your eyes twinkle to their full potential? If not, come in and see me for a consultation on the best techniques to make your eyes smile. ← Are Your Skin Care Products Paraben-Free?